This book examines the relationship between media and medicine, considering the fundamental role of news coverage in constructing wider cultural understandings of health and disease. The authors advance the notion of biomediatization and demonstrate how health knowledge is co-produced through connections between dispersed sites and forms of expertise. 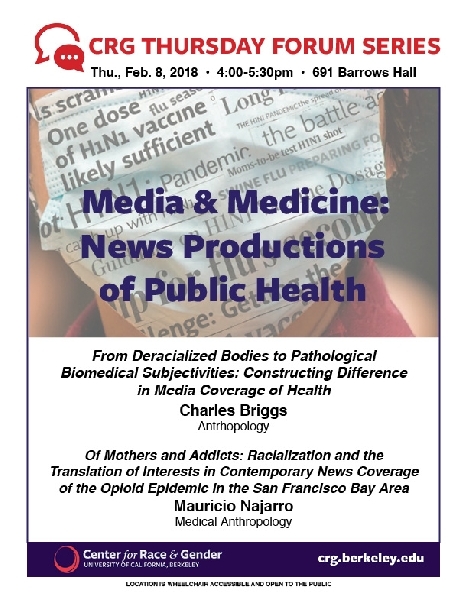 The chapters offer an innovative combination of media content analysis and ethnographic data on the production and circulation of health news, drawing on work with journalists, clinicians, health officials, medical researchers, marketers, and audiences. The volume provides students and scholars with unique insight into the significance and complexity of what health news does and how it is created. Mauricio Najarro is a second year PhD student in the Joint UC Berkeley-UCSF Medical Anthropology program with a Designated Emphasis in Science & Technology Studies. He is also a PhD candidate in Religion at the Graduate Theological Union. His research is on the globalization and mediatization of the opioid epidemic both in the United Statesspecifically the San Francisco Bay Areaand northern Indiaspecifically Punjab. He is interested in understanding how journalists, medical researchers, public health authorities, and lay people construct notions of the addict and the addicted body in news reporting and how such reporting shapes both beliefs and interventions about addiction, the addict, the chemical prosthetic. Charles L. Briggs is a Professor in the Department of Anthropology at the University of California, Berkeley, USA. His work combines linguistic and medical anthropology with socio-cultural anthropology and folkloristics.